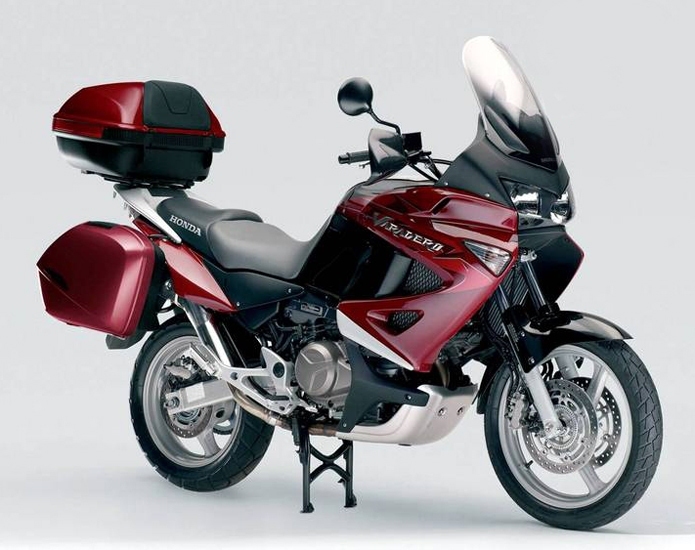 The Honda Varadero XL125V and XL1000V are adventure motorcycles by Honda. Different models have been in production from 1998 to present. It is a polyvalent motorbike, with capabilities for both long road trips and limited off-road. 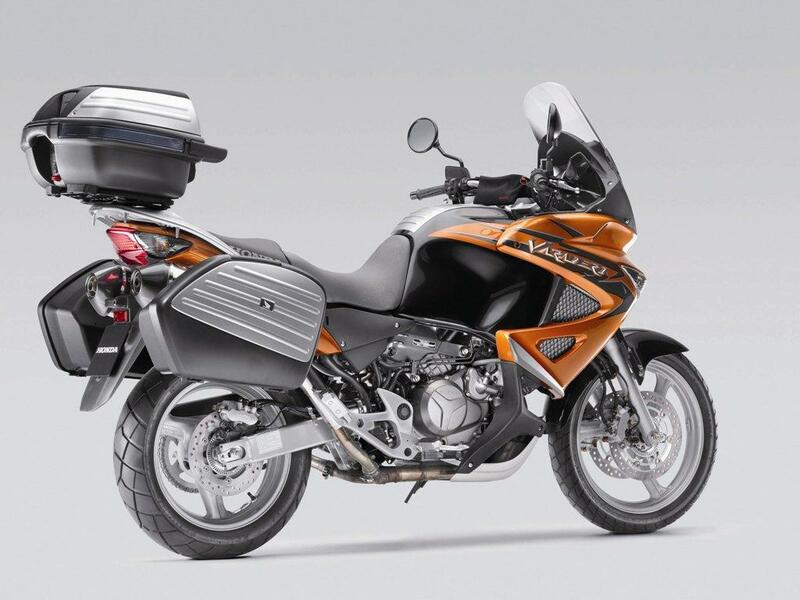 Honda’s flagship Adventure Touring motorcycle, the XL1000V Varadero has a 996cc V-type two-cylinder engine Adventure Touring motorcycle. 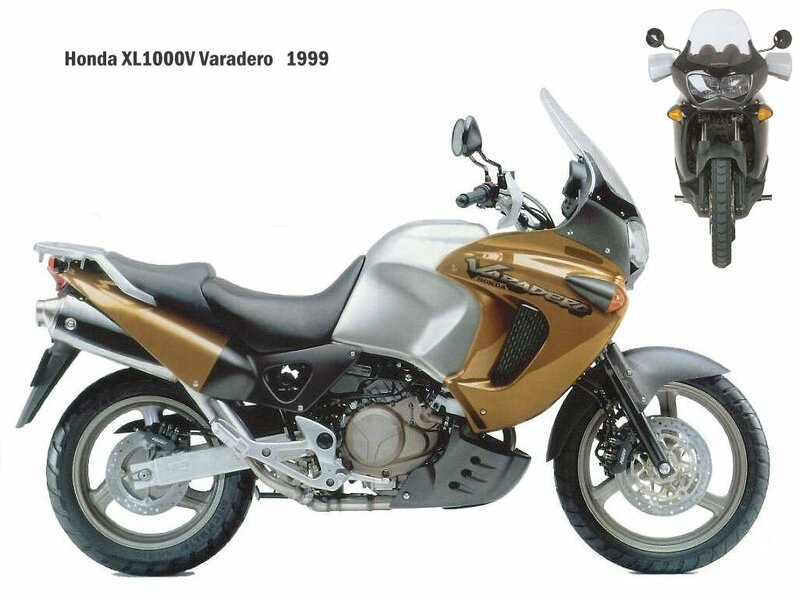 Honda introduced the Varadero to the public at the 1998 Munich motorcycle show. 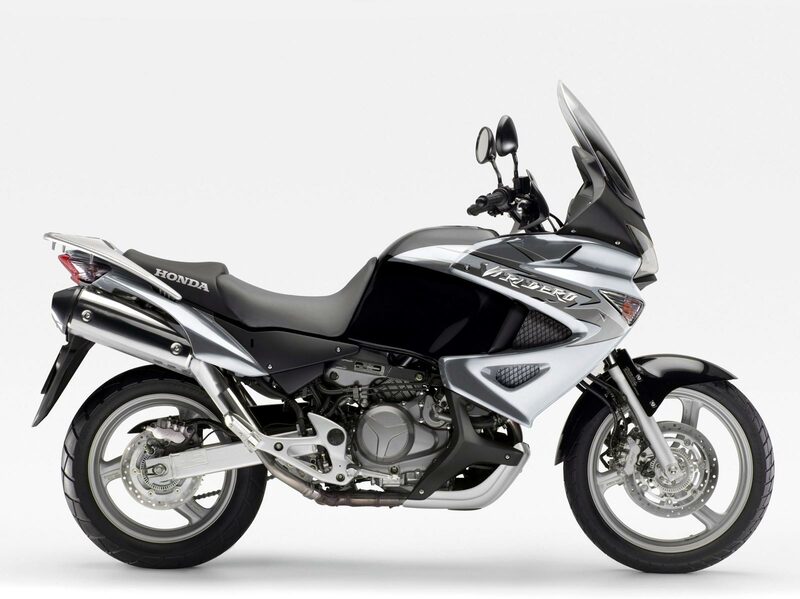 First launched in 1998 as a 1999 Model Year, its engine architecture is based on the Honda VTR1000F Firestorm/Superhawk. Following on from their race success a decade earlier with the Honda Transalp and Africa Twin models, a more comfortable road orientated model was conceived – The Varadero. It was one of the first of its type in the genre, Since then, many more have joined including the now more plush BMW R1150GS in 1999 and Suzuki V-Strom in 2002. The Adventure category refers to motorcycles that are designed for long-range touring with limited off-road capability, hence the term Adventure used by Honda as opposed to Dual Sport such as the Honda XR650L. In 2001 production of the Varadero was switched to the Spanish Honda-Montessa factory outside of Barcelona where the model continues to be built. For 2003 the Varadero received some major changes. These included the move to fuel injection and the addition of a 6-speed gearbox and a new dashboard. These changes benefited the model with better torque and fuel consumption. In 2004, ABS was introduced, and although appreciation for this feature is arguable, it is now no longer an option in a number of markets based on Honda’s safety commitment. The only moan of the early production Varadero’s was the fuel consumption, some owners fitted a slightly smaller (One or two teeth) rear sprocket to bring the MPG up. Honda changed the Varadero in 2003 from carb’s to fuel injection. nice for me to visit this website, it contains precious Information.